More Crankshaft. Roughed on mill, finished on lathe. This is the first big end bearing. 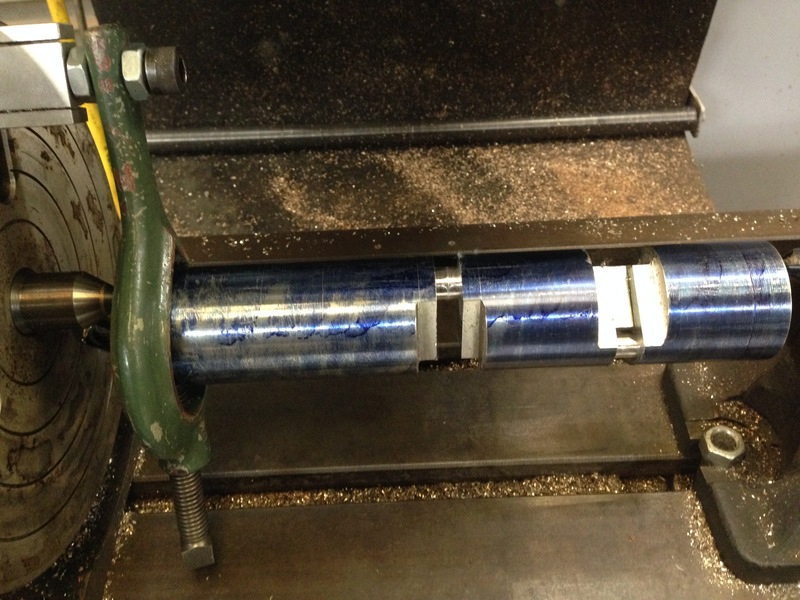 The bearing surface was roughed out on the mill (held between centres using the dividing head), then the excess around the flanges was removed on the mill (with the workpiece held in the milling vice), then the bearing surface was finished in the lathe. There is a crankshaft buried in that lump of steel. I just have to remove all of the bits which are not crankshaft. (apologies to Michelangelo). Making a start on the second big end. There is a block of steel loctited in the first big end so it is not bent when the workpiece is compressed between centres while the other big ends are machined. 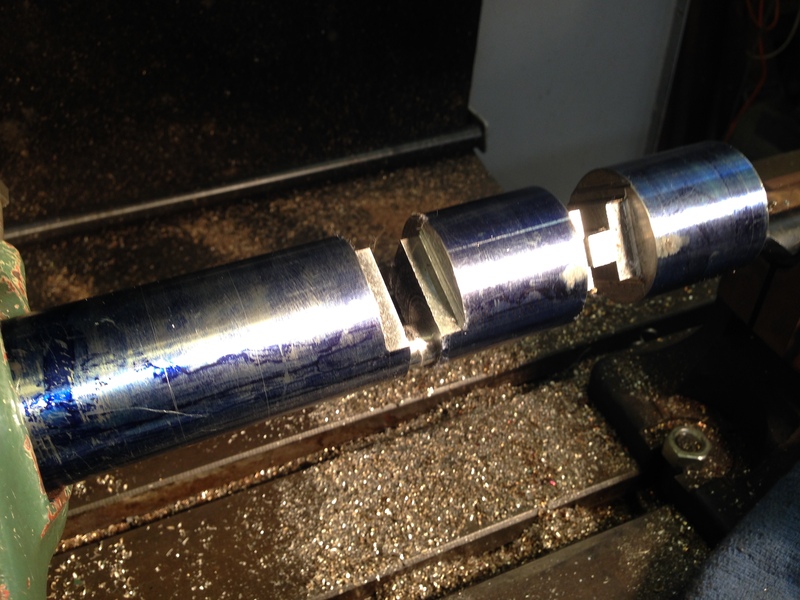 The second big end is yet to be finished on the lathe. 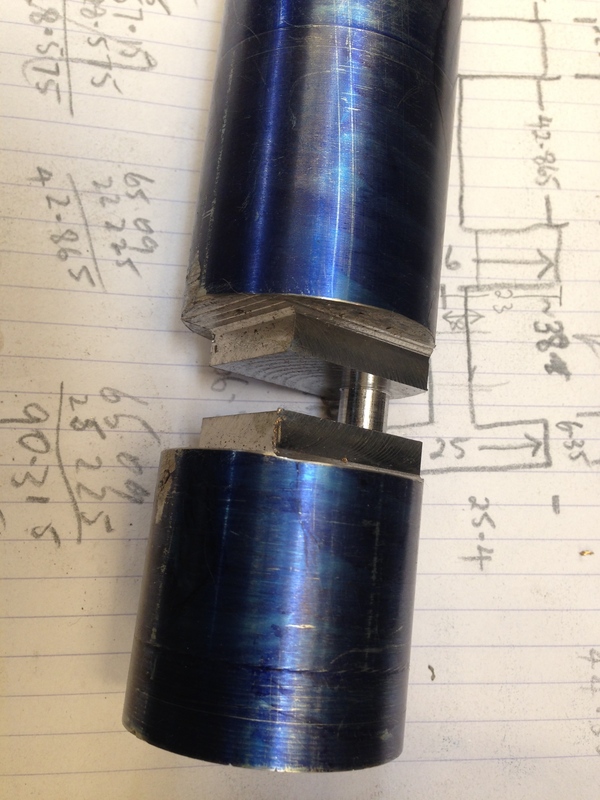 A slightly different view showing the block glued into the first machined big end, and the almost finished second big end. This is the milling machine setup.